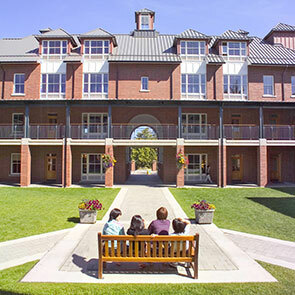 The Sun Centre is a two-storey, 30,600 sf building located in the heart of St Michaels University School, sited between the Schaffter Hall Music Centre, the Christine Duke Outdoor Theatre and the Symons Student Boarding House. 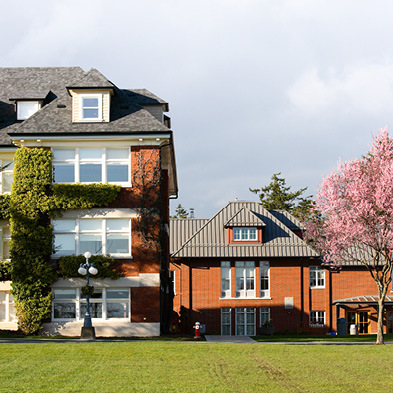 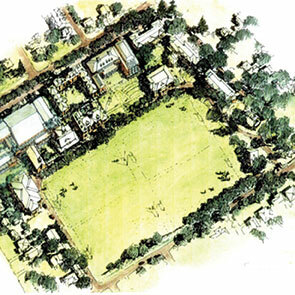 The ground level features the new Student Commons and adjacent University and Personal Counselling Services Centre. 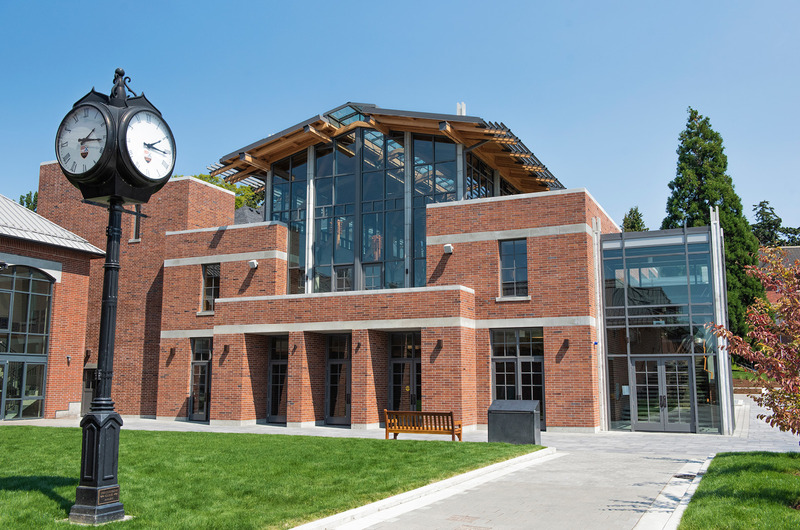 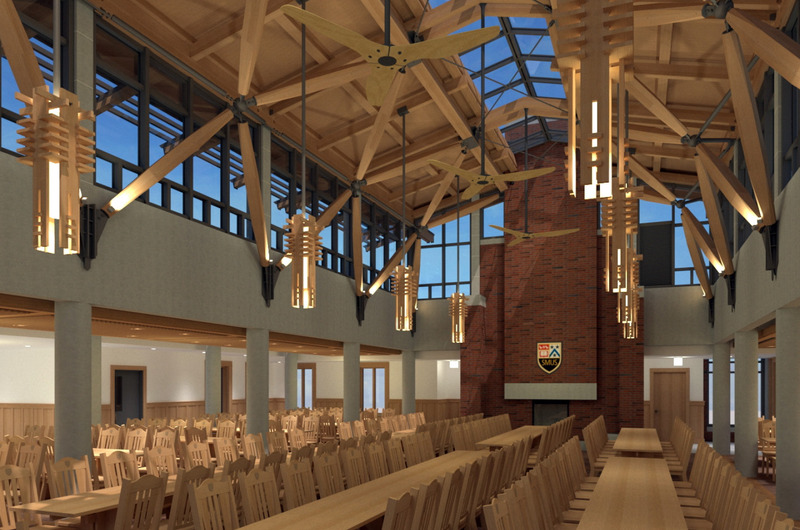 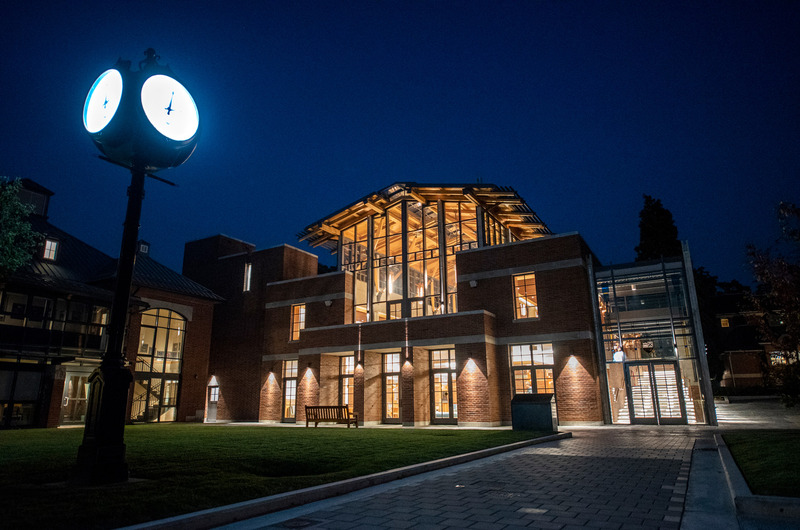 The upper level contains the stately and uplifting new Dining Hall and Kitchen, with capacity to seat more than 380 people, serving boarding and day students, to dine, relax and connect. 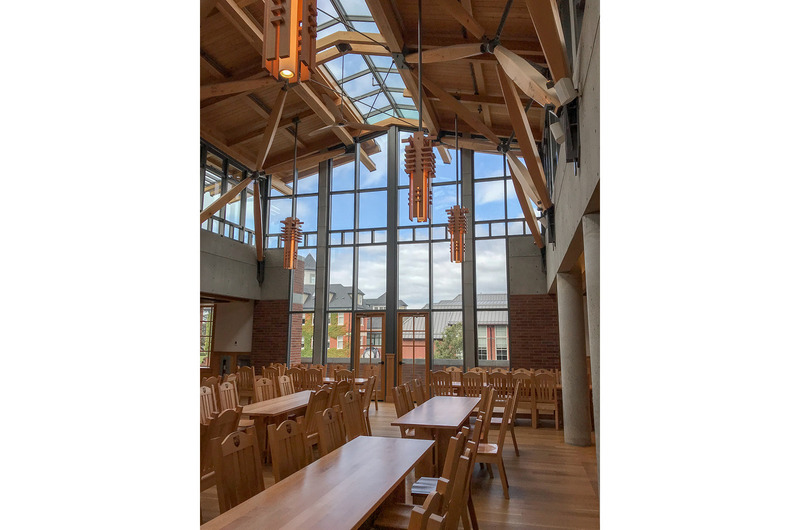 During special events, this space with its lofty cathedral ceilings, natural light and views of the fields and quadrangle, plays host to visitors, parents, students, alumni and friends. 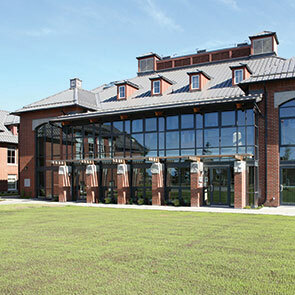 It is the new hub of SMUS community life. 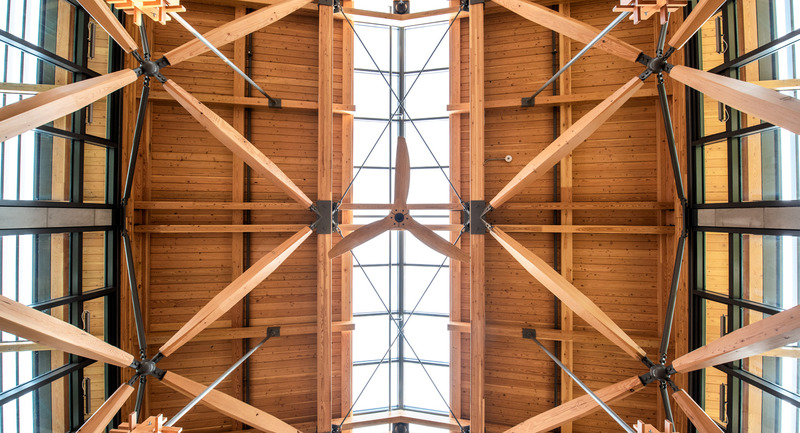 The Sun Centre roof emphasises lightness, a hierarchy of material composition, and an expressive and legible structural support system. 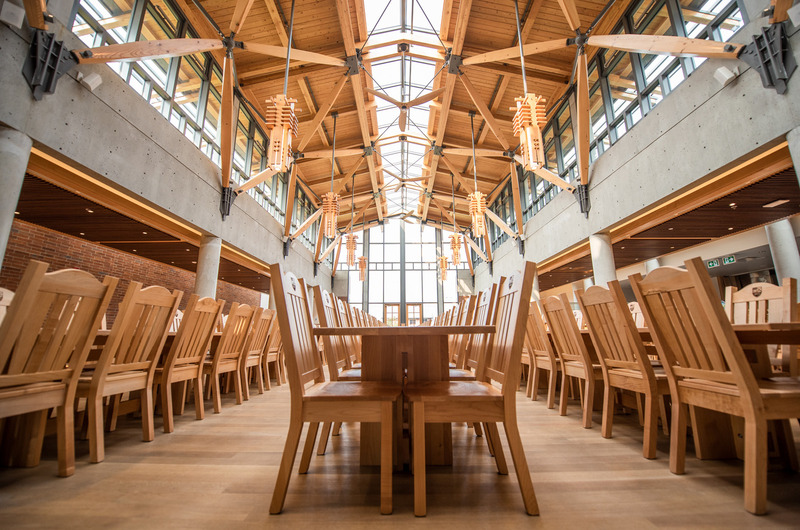 Wood (predominantly Douglas Fir) is used expansively throughout the building, in wainscoting, doors, lighting valances, and our custom designed pendant and sconce light fixtures, resulting in a unified and coherent building design that is evident both from the scale of the overall building structure, down to the scale of the individual student as they use the space.